Good afternoon, my name's Paul Weaver from Makinex Construction Products. 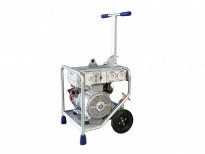 Thank you for the opportunity today to share one of our latest products with you, our Hose 2 Go. It’s a portable water system for suppressing dust and keeping your blade cool while concrete cutting. It has no battery, no electric and no pump, which eliminates some of that sort of two-person operation with that sort application. You know, it's available at all the Kennards branches around Australia, so why don't you get in there and give it a try? It’ll make you job a little more efficient on-site. 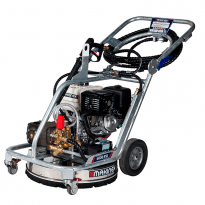 This versatile dual pressure washer combines a rotary cleaner and wand pressure . 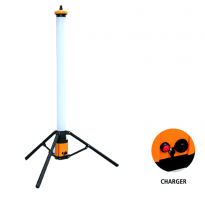 The Upright Tower LED 36W rechargeable light has 360 degree circle without any dark spots. Robust, powerful and reliable solution for providing power to equipment and tools, floor grinding, welders and brick saws, air compressors and a wide range of applications.